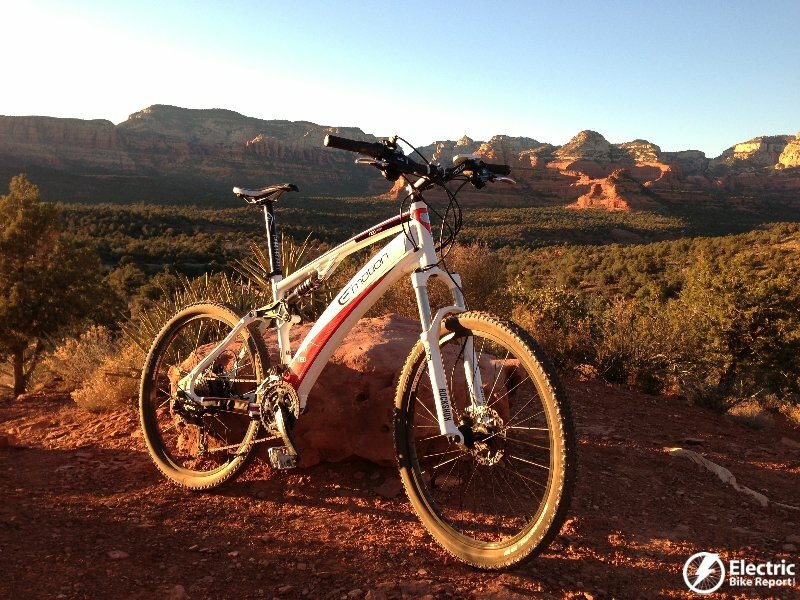 Frame: Aluminum full suspension frame with SR Suntour rear shock (with lockout lever). 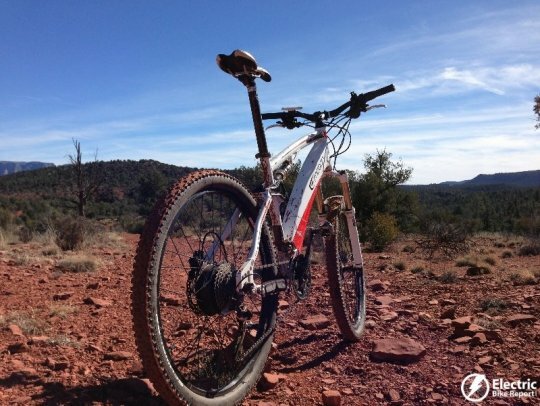 120 mm (4.75″) of rear suspension travel. 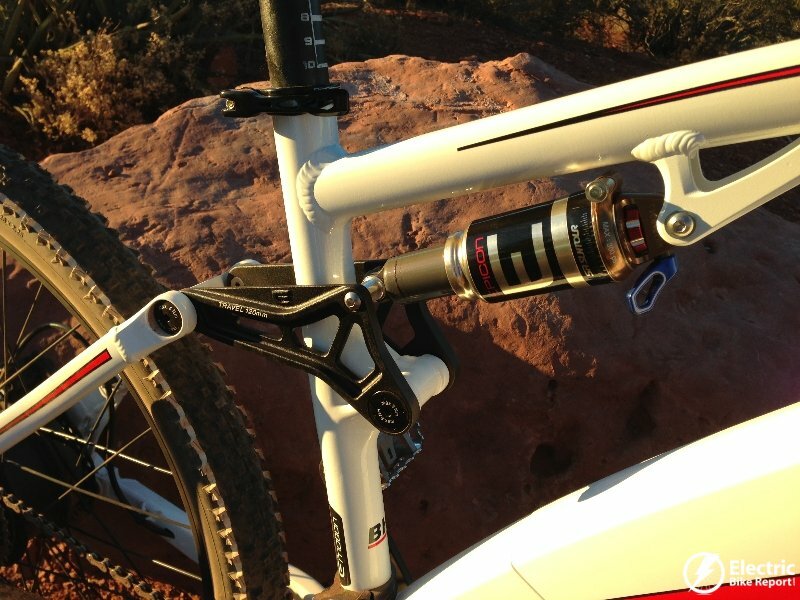 Fork: Rock Shox XC32 suspension fork with 120mm (4.75″ of travel). Has handlebar lockout lever. 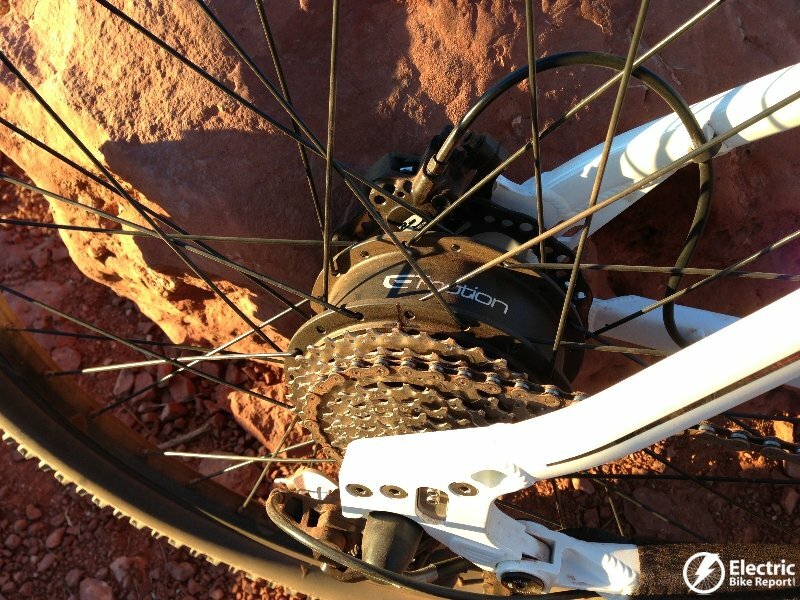 Motor: 350 watt brushless geared rear hub motor with freehub body (not a freewheel). Battery: 36 Volt 9 amp hour Samsung lithium ion battery. 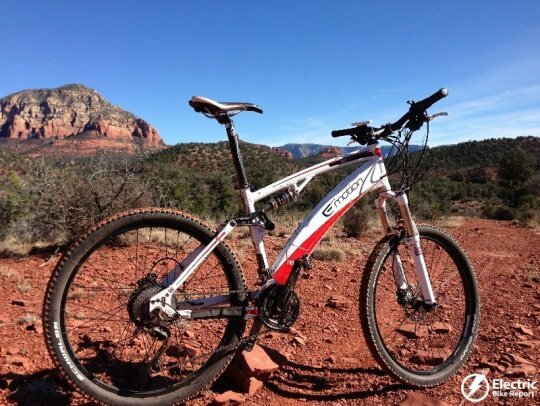 Battery connects to the top of the frame. Assist Options: Pedal assist (TMM4 toque sensor) or throttle. 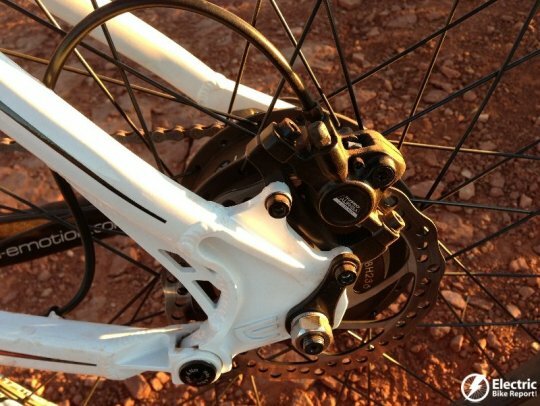 Brakeset: Tektro Auriga E-Comp Hydraulic disc brakes front and rear, 160mm rotors. 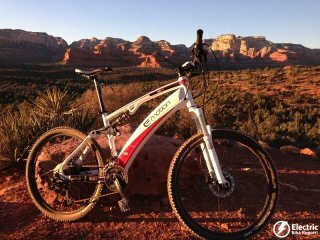 Here is a link to the information page of the Easy Motion Neo Jumper electric mountain bike. 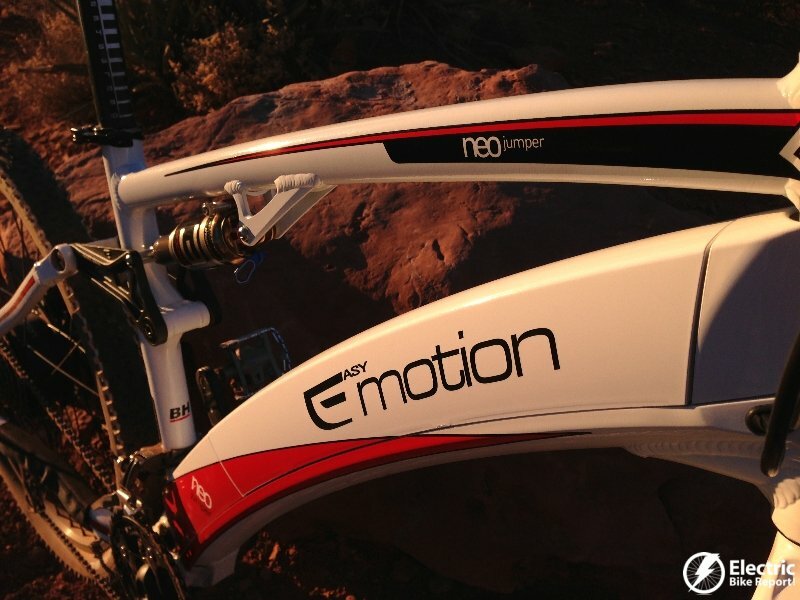 Checkout the video & pictures of the Easy Motion Neo Jumper! 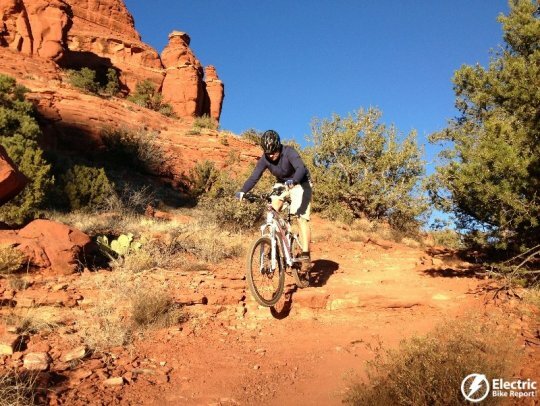 Your’s truly testing the Emotion Neo Jumper on the tough trails in Sedona, Arizona. The Easy Motion Neo Jumper has 120 mm (4.75″) of rear suspension travel. The SR Suntour rear shock also comes with a lockout feature for riding on the road. 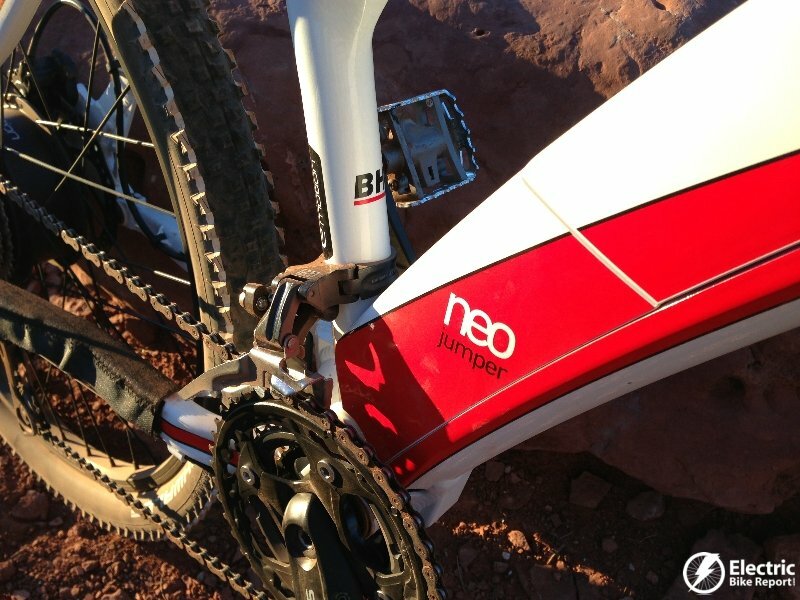 The battery of the Easy Motion Neo bikes attaches to the top of the downtube of the frame. It blends in well with the overall look of the bike. The Jumper comes equipped with a 350 watt geared rear hub motor. 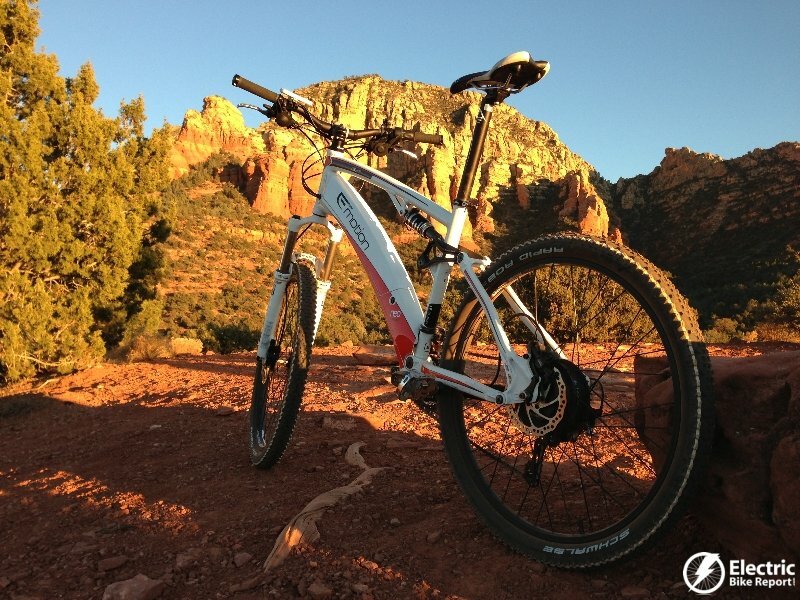 The TMM4 torque sensor is built into the rear dropout of the frame. The Jumper uses the Tektro Auriga E-Comp Hydraulic disc brakes front and rear with 160mm rotors. 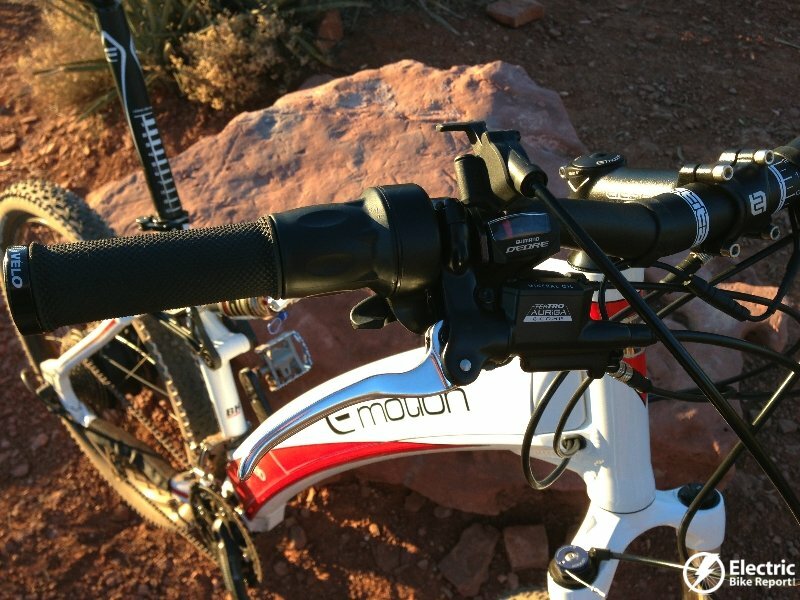 The controller of the Jumper is hidden in the shrouding below the battery, near the cranks of the bike. 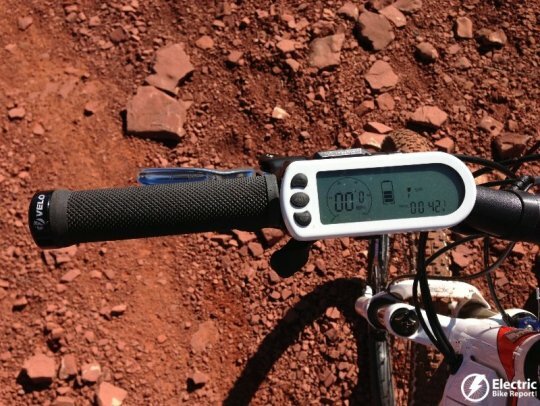 The Jumper’s control display shows the current speed, what assist level you are in, how much battery life you have left, and an odometer. The power button is the center button on the left and the up and down areas adjust the pedal assist. The Jumper has the option of using throttle only. Also shown is the lockout lever for the Rock Shox XC32 suspension fork. Now go to the full review of the Easy Motion Neo Jumper!